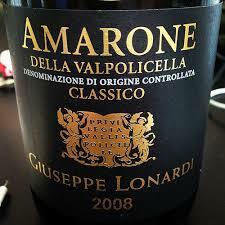 Terroirist: A Daily Wine Blog » Daily Wine News: Elegant Amarone? Daily Wine News: Elegant Amarone? “Think about it – when was the last time you read an article with the words “Amarone” and “elegant” in the same sentence?” In Wine-Searcher, Tom Hyland looks at how Amarone producers are working to making more elegant wines. “More than a dozen New York State wineries on Long Island and in the Hudson Valley are facing federal lawsuits, with plaintiffs claiming that the wineries’ websites violate the Americans with Disabilities Act (ADA) by not being accessible for the visually impaired,” reports Brianne Garrett in Wine Spectator. “World wine production is expected to jump 12 percent this year, a rebound from 2017 when bad weather sent output slumping to the lowest in more than two decades,” according to Rudy Ruitenberg in Bloomberg. Robert Joseph ponders how the subscription economy will impact wine in Meininger’s. On the blog for First Vine, Tom Natan dives into the numbers to see if there are more independent producers in the Rhône Valley and the Languedoc than there were in 2000. In SevenFifty Daily, Lenn Thompson highlights 10 bottles that will change your mind about East Coast wines. Wine & Spirits Magazine highlights 14 wineries to watch in 2018. Anna Lee C. Iijima on the trouble with cellaring wine in Wine Enthusiast. In Vinous, Josh Raynolds offers his impressions of the 2016 and 2017 vintages of Châteauneuf-du-Pape Blanc.